The technological advancements and the software development have changed our life almost without realizing it. Many of our daily routines task which we were doing with computer software and by the use of large hardware setups have been replaced by the convenience of a portable, light weight and fast running apps that are easy to install, easy to use and best of all, many of them are free. In the field of professional video, one of the faster adaption tasks to the field of iOS app development has certainly been the use of Teleprompter. Now to decide which one is the best teleprompter app or which one will fit your needs it’s complicated therefore we brought you the best teleprompter app Scripted Video Teleprompter. Scripted Video Teleprompter allows you to create HD videos every time. 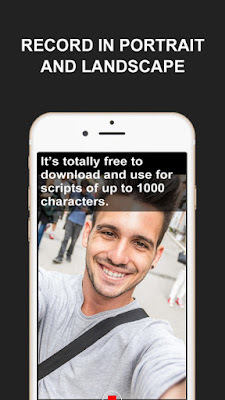 This easy to use app allows you to shoot a video yourself with the custom script, which appears on the screen while you are filming. 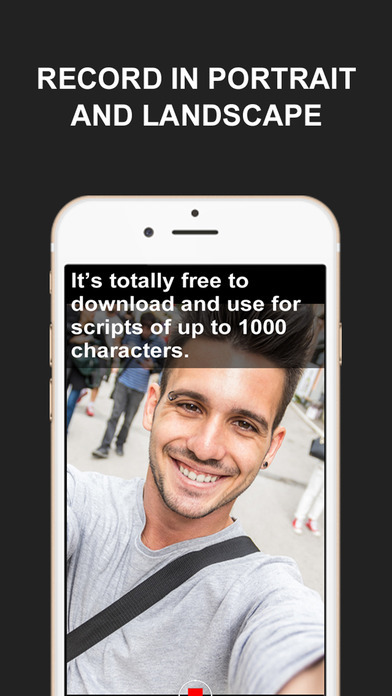 You can add script of about 1000 words. You can also share that script with others users having iOS devices for further use. The app also gives you the feature of sharing these filmed videos through your Facebook account or also you can save them to your Dropbox account. You can use the app with both landscape and portrait positions. In addition to all these features, you can set the font’s size for your custom script and you can set the scrolling speed of the text, as the text scrolls down when you are filming the video. So what you are waiting for? Install this app free for your iPad and iPhones and own your own mobile studio.